Lindsay holds a BA in Political Science from Carleton University, a BA and MA in Economics from the University of Victoria, and a PhD in Economics from McMaster University. 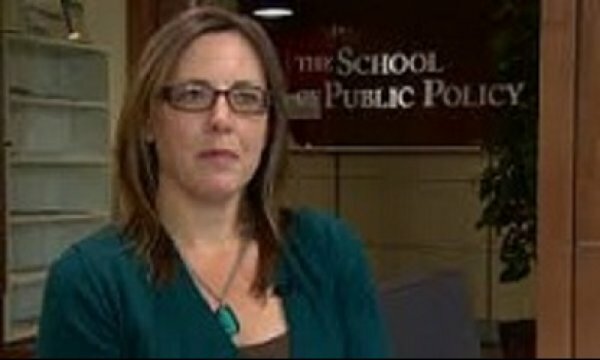 Lindsay has previously held a faculty appointment at the University of Manitoba and was more recently a Visiting Professor at the School of Public Policy at the University of Calgary. 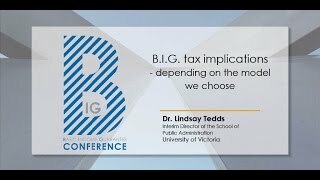 Lindsay is a specialist in applied economic research and policy analysis, with a particular focus on the design and implementation of tax policy. Her work spans a number of topics including the underground economy, income underreporting, the tax treatments of stock options, the second-hand economy, user fees, insider disclosure, and birth seasonality. 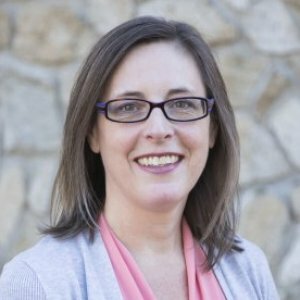 She is the co-author of two books and has published a number of book chapters, technical reports, interactive guides, and papers in peer reviewed journals. 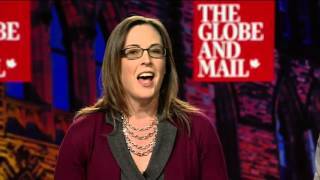 Lindsay is a regular non-partisan public commentator, writing for print media, appearing on a variety of T.V., radio, and podcasts, and providing testimony to the House of Commons Finance Committee. She is a member of the research advisory board for the Northern Policy Institute and a member of the editorial Board for the Mowat Centre. Before becoming an academic, Lindsay held several non-partisan posts with the Government of Canada in Ottawa as well as in municipal government in the areas of public economics and policy implementation. This week, the B.C. government announced a new 15-per-cent property transfer surtax to be applied to all foreign buyers of residential property in the Greater Vancouver Regional District, effective on transactions closing on or after Aug. 2, 2016. The objective of the tax is to curb foreign speculators from investing in residential real estate in the GVRD and help to cool the rise of prices. Lindsay parses the impact of this tax on speculators. This week, news organizations around the world were reporting on the Panama Papers, an information leak showing who's been hiding money offshore. Some of the focus has been on celebrities and world leaders, but most of the names are regular business people engaging in a mostly legal practice. The Agenda discusses the legality and morality of offshore tax havens. 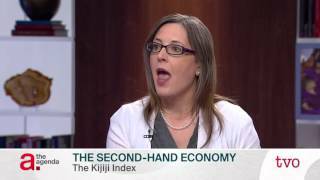 Lindsay details the size and consequences of the second-hand economy in Canada. Second-hand goods used to be the stuff of church bazaars and flea markets, or help handed down to friends and family for free. But today technology enables sites such as Craigslist or Kijiji to get those goods out of the garage or basement and into a market worth billions of dollars each year in Canada alone. The Agenda examines how the second-hand economy has become a force to be reckoned with. The election results are in and the Liberals have won a majority government. Since most of the polls were predicting a minority, the clear majority takes off the table a lot of economic questions about the new government. But what economic questions remain? Lindsay discusses some of them. At the start of the campaign, The 180 checked in with the so-far imaginary Economist Party, to get a sense of what Canada would look like if it was run by economists. This week, Economist Party "candidates", Lindsay Tedds and Stephen Gordon, give the major parties an economics report card. 180 host Jim Brown speaks with two economists, Lindsay Tedds from the University of Victoria, and Livio Di Matteo from Lakehead University, for their take on the campaign so far. I am an associate professor at the University of Victoria's School of Public Administration, and I specialize in tax policy. I'll try to answer any questions you have about Canadian tax policy. Insiders of Canadian reporting issuers are required to file public reports when they acquire, buy, or sell securities of that reporting issuer. These public reports must be filed using a prescribed form and must be filed within a specific time frame. Failure to file these public reports or filing with inaccurate information constitutes an offence under securities law. The two main objectives served by these reporting rules are: (1) primarily as a regulatory tool to both communicate obligations as well as to prevent and detect the improper use of undisclosed information by insiders; and (2) to increase market efficiency by providing investors with information concerning the trading activities of an issuer. These objectives are dependent on compliance with the rules, yet no information regarding compliance exists. To investigate compliance a secondary source of information to verify the information provided in public reports must exist. In Canada, the CEO and the top four highest paid executives must report detailed information regarding their compensation, including stock option awards, in the annual report to shareholders. 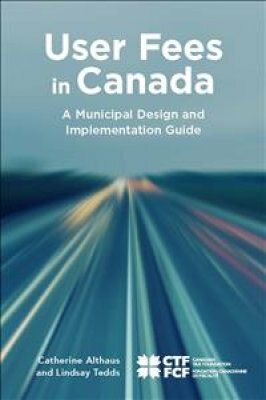 I collect information on stock option grants for these individuals for a sample of Canadian public companies for the period 1996-2011 and compare this information to that provided in the public reports. I find that while the majority of executives properly and accurately file public reports, a concerning minority fail to file or file inaccurate information. I consider the consequences of this finding and suggest ways to improve the quality of insider reporting in Canada. It is well known that there exists a strong seasonal pattern in births and that the pattern differs across geographic regions. While historically this seasonal pattern has been linked to exogenous factors, modern birth seasonality patterns can also be explained by purposive choice. If birth month of a child is at least partially chosen by the parents then, by extension, it can also be expected that this can be influenced by anything that changes the costs and benefits associated with that choice, including public policy. This paper explores the effect that the 2001 extension of paid parental leave benefits had on birth seasonality in Canada. Overall we find strong results that the pattern of birth seasonality in Canada changed after 2001, with a notable fall in spring births and an increase in late summer and early fall births. We discuss the potential effects of this unintended consequence, including those related to health and development, educational preparedness and outcomes, and econometric modelling.